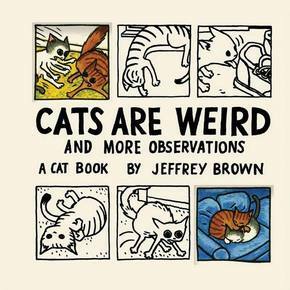 Cartoonist Jeffrey Brown's drawings perfectly capture the humor and quirkiness of cats in all their strange and charming glory. Following the success of Cat Getting Out of a Bag, this all-new collection of color and black-and-white comic strips loosely follows the adventures of a pair of cats as they explore the world around them, indoors and out. Adventures include taking a nap, licking a shoe, attacking dust particles, hiding in cabinets, pouncing on fallen leaves, confronting the vacuum cleaner, patrolling the yard, and purring up a storm - all adorably rendered in Brown's immediate and irresistible style. Sure to delight anyone who lives with cats and appreciates their sweet and batty behavior, this beautifully packaged gift book is the cat's meow. Jeremy Brown is Assistant Professor of Modern Chinese History at Simon Fraser University.